The Rebel John takes inspiration from a classic scale favorite and blends it with a creative oddroc building style. This large mid-power rocket is nearly 3ft tall. The Rebel John is easily assembled from 38 pieces of pre-cut plywood. The plywood parts have slots and/or tabs. Combined with illustrated instructions, they make for an enjoyable and straightforward building process. 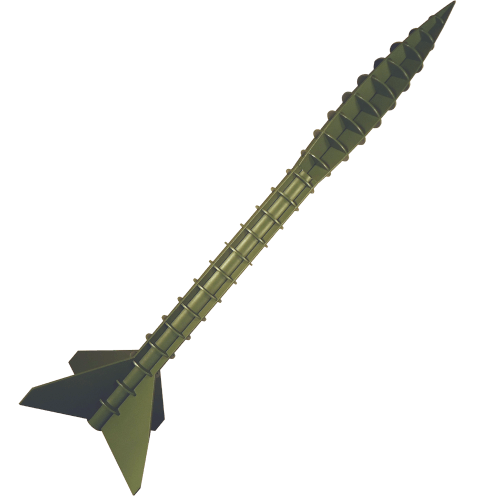 While the Rebel John model rocket is easy to build, the construction technique is quite different from most rocket kits.